Bahrain's Foreign Minister calls for a ground offensive to eliminate Iran's influence in Yemen, via the Houthi rebels. 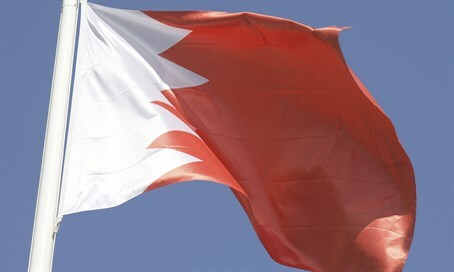 Bahrain's Foreign Minister Khaled bin Ahmed al-Khalifa called for a ground offensive "to eliminate the Iranian influence" in Yemen, in an interview with France's Le Figaro newspaper published Thursday. "We need to be present on the ground to obtain the application of UN Resolution 2216 and the return of the legitimate authority to power," he said in the interview, as quoted by the AFP news agency. "We must be sure that we completely eliminate the Iranian influence and that of their Houthi allies." Bahrain is part of an Arab coalition that since March has been striking from the air at the Shiite Houthi rebels in a bid to prevent them from taking full control of Yemen and to restore the rule of President Abedrabbo Mansour Hadi, who is exiled in Saudi Arabia. It is believed Iran is planning to use the Houthis to take over Yemen and seize the key strategic port of Aden, which controls the entrance to the Red Sea and ultimately to the Israeli resort city of Eilat, though Tehran denies the charges. Last Friday, the coalition suffered its heaviest losses with the deaths of 45 Emirati troops, 10 Saudis and five Bahraini border guards in a Houthi missile strike. The minister said it was necessary to send in ground troops because "we cannot continue to come under attack from missiles". He also conceded that the coalition's air strikes were causing "collateral victims", so a new approach was needed in a conflict that has cost the lives of more than 4,500 people. Gulf Arab members of the coalition have reportedly sent thousands of heavily armed reinforcements to Yemen in the wake of Friday's missile strike. A Qatari official on Tuesday said Doha had dispatched 1,000 troops "ready to fight", saying at the time that they were on the border with Saudi Arabia. Roughly 1,000 Saudi soldiers have already arrived in Marib province east of the Yemeni capital Sanaa, according to military sources in the war-torn country. Bahrain has seen its share of Iran-backed terrorism on its soil. Several years ago, it blacklisted Hezbollah as a terrorist group, becoming the first Arab country to do so. The country cited evidence that Hezbollah was attempting to incite terrorism from abroad. A Shiite-led uprising against the Bahraini kingdom was crushed in 2011, but security incidents and sporadic demonstrations have persisted since.